There is no harm in dreaming big. But to dream without acting on it is a bad idea. Imagine you started an e-commerce store and in the start, you spend heavily on Facebook ads due to which you were able to create a lot of buzz. 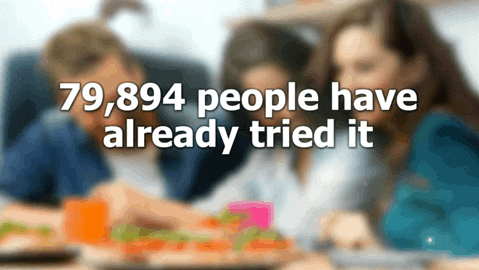 There are 2.23 billion active monthly users on Facebook. This means there is a huge opportunity for you to market your products out there for the potential customers to see. With laser-focused targeting, Facebook ads provides marketers an opportunity to engage, capture, and inspire users who are interested to buy your product. The Facebook Pixel can help you to track and engage people with your brand and show them unique Facebook ads based upon their preferences. 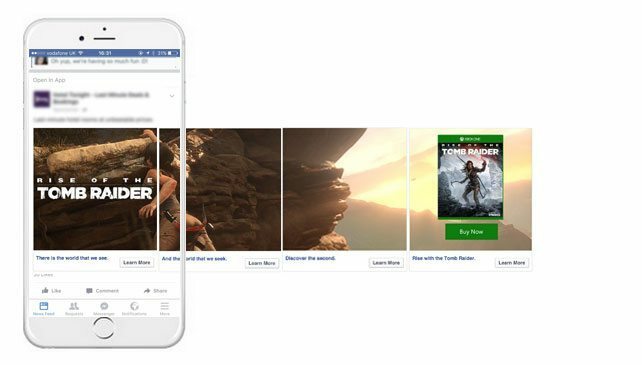 Thanks to Facebook carousel ad now you can show multi-product photos within a single ad. You can now give customers the ultimate control to choose products which are the right fit for them. In a research done by Adobe, it was concluded that the brands who are using Carousel ads are getting 50-300% increase in their click-through rate, which concludes to 35% reduction of the cost per click of the ad. It is said that every human has 7 lookalikes across the globe. Umm.. I don’t know about that but you can surely reach more people who are likely to be interested in your business by leveraging the Lookalike audiences in Facebook. This brilliant feature will help you to find buyers who resemble with your current best customers. 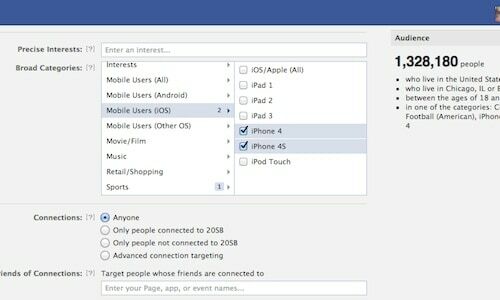 With data points, Facebook will present you with a list of Lookalike audiences for your brand. However, a key point to note here is that a small lookalike audience will share more similarities than a larger group of audience. In fact, a larger audience will have more variance with your current customers. For this reason, ensure that you have repeat customers in your audience list which will figure out to replicate the actual audience. If your content is worth it, you need to first send the lookalike audience to the content which will make them learn more about your brand, and after that redirect them to your product page. If you still haven’t heard of social proof you’re already missing a huge chunk of potential customers. A study revealed that an astonishing 90% of the consumers buy products which are influenced by online reviews. Business is all about trust. And if you include reviews, social media shout outs and testimonials in your ads it is more likely that people will consider your brand trustworthy. Why trust? Because shockingly less than 40% of the people trust on ads, and if the ads are fueled with social proof it will be easy for customers to trust the brand. Einstein said it right. If you want a different result, change your approach. If you keep targeting the same audience again and again it will be difficult to drive traffic and generate leads. Your goal is to find a group of die-hard fans which will advocate for your brand. For instance, if you’re selling a beard product, it is wise to exclude women from your targeting. If you’re a startup who is mainly focusing on local audience, try to pick the geographic region to your targeting. If you’re selling something with a specific niche, play with the interest field and see which audience sticks to your brand. A way to do this is to pick the interest from the ad which will generate relevant categories for the audience. Try not to use a general interest, instead narrow down your audience interest. For instance, ‘bodybuilding’ is a general interest, while ‘bodybuilding men’s magazine’ is a narrow field of interest. By combining multiple interests of audience you’ll finally be able to establish a list of die-hard fans who will love to market your product for free. Any idea what makes Groupon more desirable than other websites? It is a sense of urgency which gives customers a small window to take the decision and buy the product. Scarcity when done right can-do wonders for your brand. Tell customers that a certain product is running out of stock or the product will only be available for a limited period and see your sales going up. You can cut down the price of your product for a limited period and display it in your Facebook ad. If you own an e-commerce store this is an amazing opportunity to sell your least liked products. I’ve worked with online e-commerce stores in Pakistan and seen that they are using creative ways to tweak and create a sense of urgency in their Facebook ads. The key to any success in Facebook marketing is to figure out your target audience and make them feel safe when buying your product. As mentioned earlier use social proof, create some urgency, and go for lookalike audiences for your brand. In the end there is no way to succeed in Facebook ads, you must try and see which one is working for your brand. If you want to master the field of digital marketing, you can start learning digital marketing from IDMPakistan’s free demo class which will help you to learn the basics and advanced methods of digital marketing. Thanks for this amazing content. 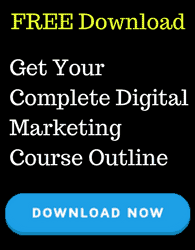 Have reached and checked this website today, have read different articles and now seriously thinking to join amazing Digital Marketing course very soon.